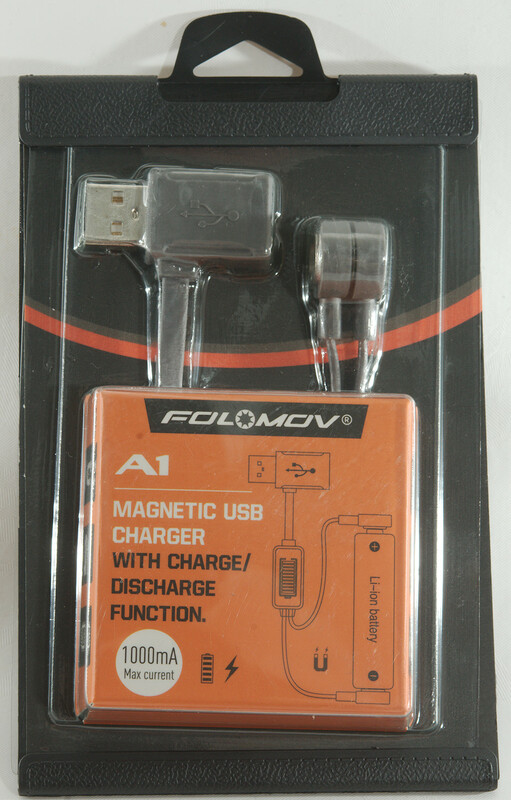 Folomov is new on the charger market and has started with some fairly powerful chargers. This is a very small charger and power bank. 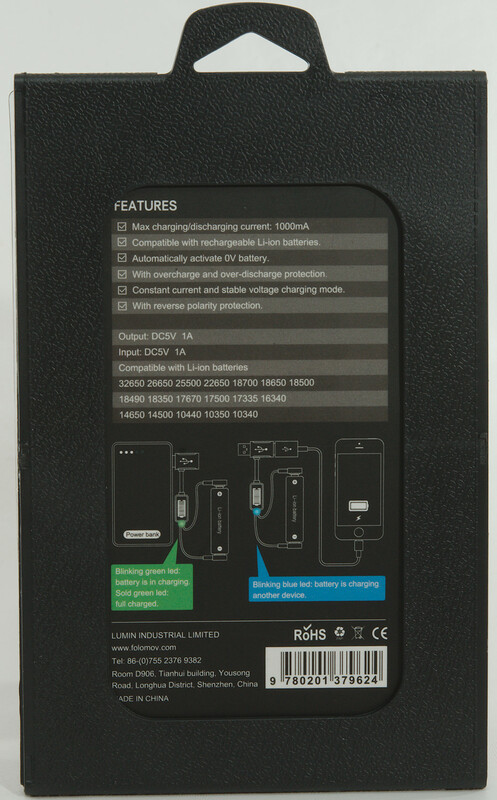 The box lists lot of specifications, battery types and features, there is only the charger in the box. 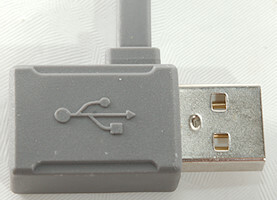 Input and output is in the same block and is basically a pass through connector. 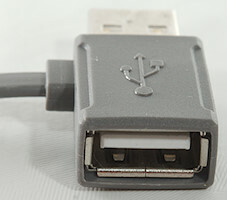 Blinking blue: Usb output is delivering power. 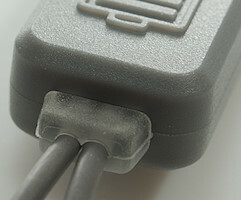 The green led will only light up when usb power is supplied to the charger. 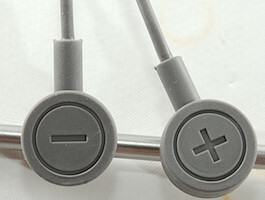 The magnetic connection to the battery with clearly marked polarity. The charger can handle just about any size battery, including most flat top cells, but the current is too large for regular use on smaller cells, except some IMR types. Power consumption when idle is up to 6mA from usb (Average 3.3mA). 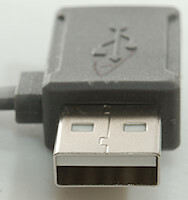 Charger will charge a LiIon with 0.02mA when full. 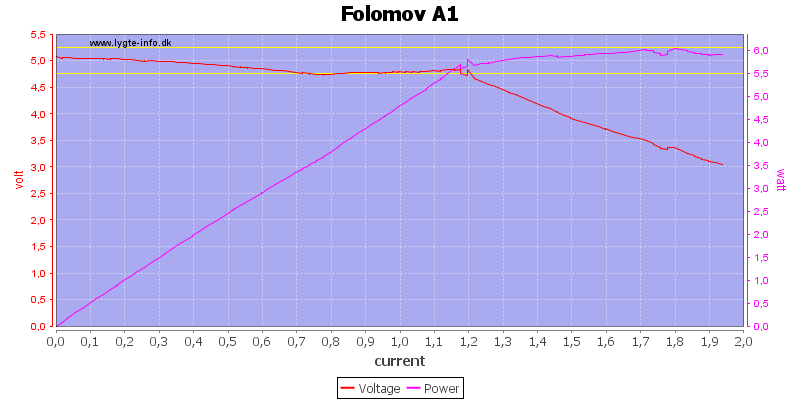 Charger will discharge a LiIon with 0.1mA when not powered. Charger will restart if battery voltage drops to about 4V. 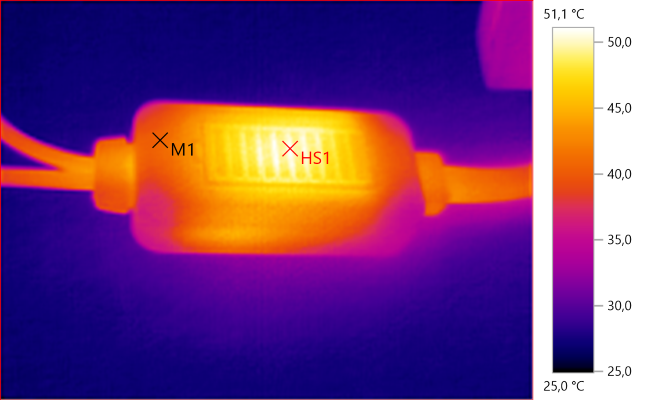 The charge current starts at around 1.2A and termination current is around 150mA, this is fine for larger cells and for some small IMR cells. 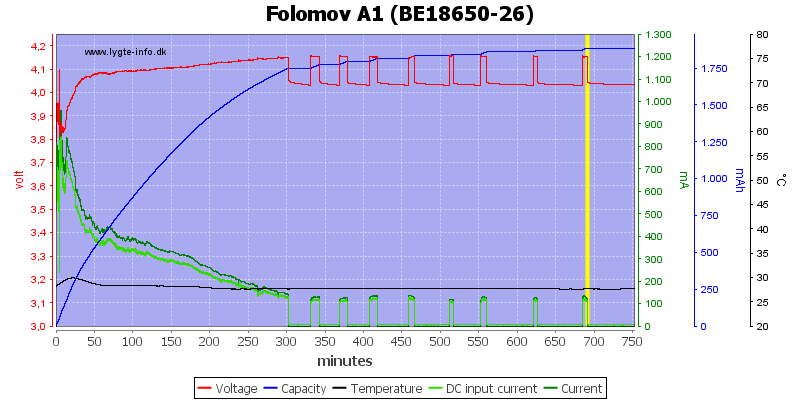 There is a problem with the voltage, it stops charging at 4.1V, it is way to low. I got two for testing, the second one stops at 4.15V, it is better, but not perfect. These two cells looks fine enough, except the final voltage is too low. With this older cell the charger restarted a couple of times due to voltage drop. The charger stays fairly cool. 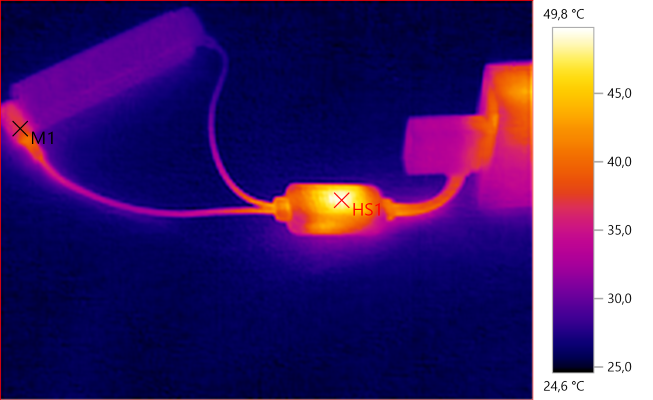 The connection to the plus warms up a bit, probably because it has a bit of resistance. The charger takes about 4 seconds to start. Blue light will turn on at around 22mA draw from usb output. When input power is switched off it takes some time before the power bank functions will take over. 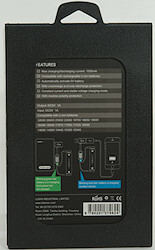 The power bank function can deliver about 1.2A before the output drops, but the voltage is at the low end for a usb charger. 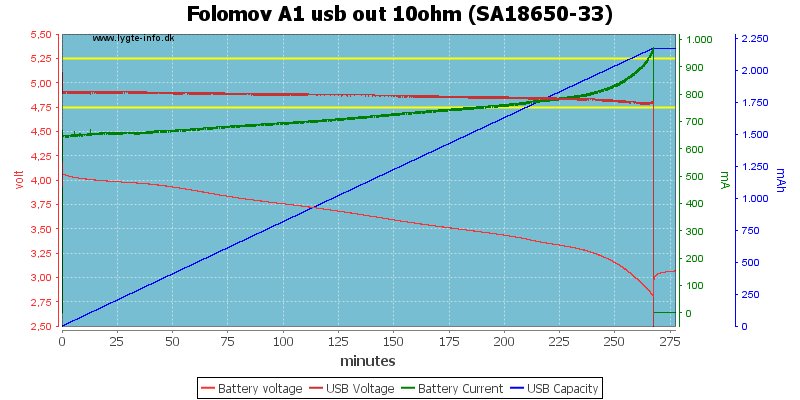 With a 10ohm load (0.5A) the output voltage is nearly stable until the battery is empty. 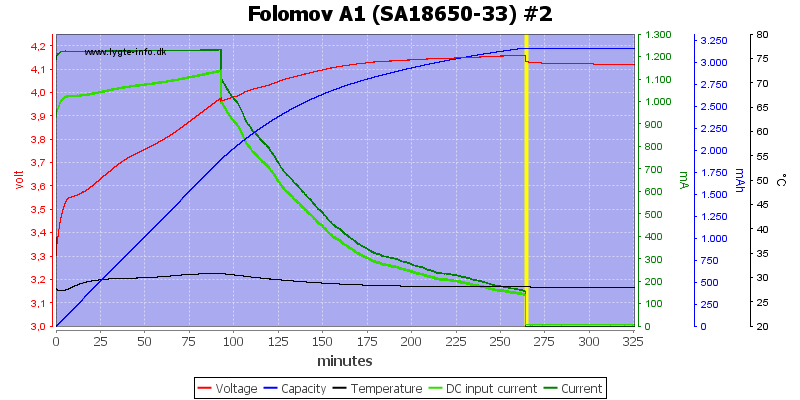 But at about 1A (5ohm) the output cannot be maintained until the battery is empty. 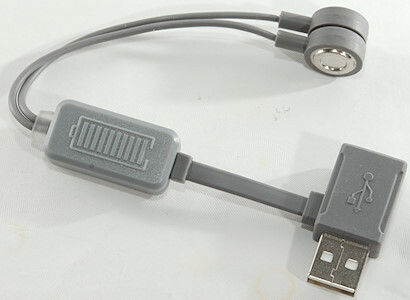 This type of charger do not take up much space, but there are some limitations, here the current is too high for small cells. Adding a power bank function to the charger is an interesting idea, it works fine, but it will not charge a smart phone at high speed. 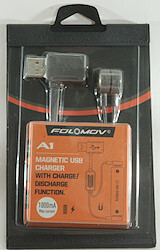 The charge voltage is rather low, it can be used in an emergency, but is not really good enough for a regular charger. 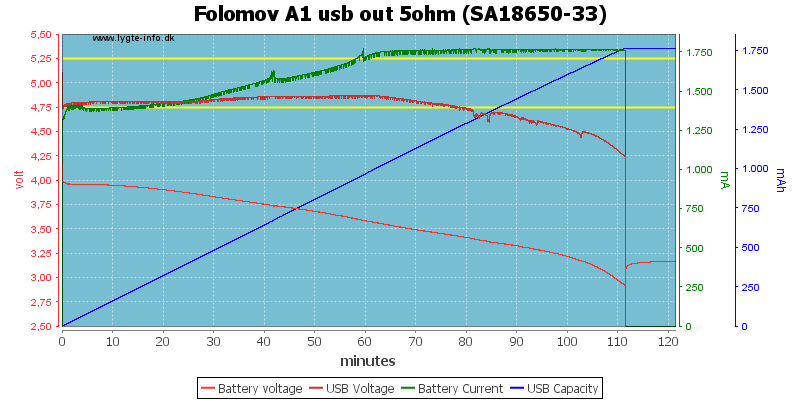 The same with the usb output voltage, I would also a liked that a bit higher. Due to the low voltages I will only call it fairly good.